Jamie is from Northeast Ohio where he gained an appreciation for natural spaces through adventuring and exploring along the coast of Lake Erie. He recently graduated from Ohio State University and recieved a Bachelor’s of Science in Natural Resource Management. Most recently Jamie worked as an intern on a farm where he discovered a passion for growing produce sustainably! In his free time he likes to hike, fish, camp, ride his bike and garden. 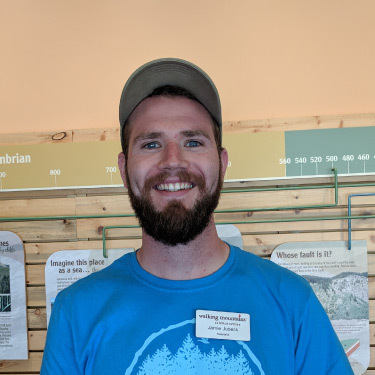 As a new Colorado resident Jamie is most excited to explore the mountains and to get people excited about all the natural beauty that surrounds them!